Back in March I wrote a post titled “Lieber Philip: A Letter Lasts 100 Years” that discussed the final letter my Great-Great Grandfather Heinrich wrote from his home in Nürnburg, Germany to his son Philip, my Great-Grandfather in New York before he passed away about one month later. I introduced a bit of family history in the pencil industry to my own son Philip through this letter. As it turns out there is another recent 100 Year Anniversary related to Heinrich Berolzheimer’s accomplishments. My wife, son and I have just returned from a week in Germany where we participated in activities celebrating the 100 year anniversary of the construction of the Berolzheimerianum in Fürth, the city of Heinrich’s birth and original founding of the pencil company, Berolzheimer und Illfelder. Donated by Heinrich with assistance of his son’s Emil and Philip (then running the Eagle Pencil Company in New York) the Berolzheimerianum was established according to the foundation document as a “home for popular education in the town of Fürth”. Tis document stated that it should “serve the whole population of town of Fürth, regardless of social class, religion or political opinions”. 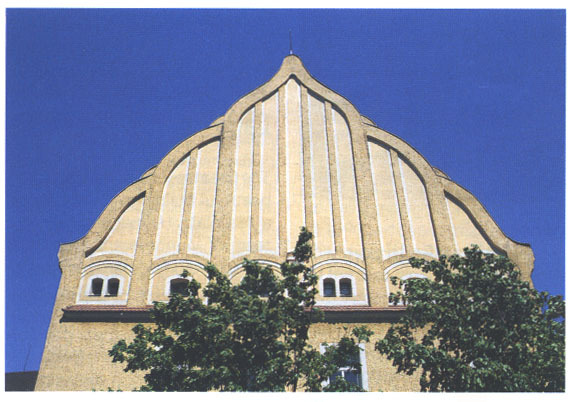 The building included an extensive library with over 10,000 volumes (later growing to over 20,000 volumes) as well as an auditorium with 800 seats for performances and various cultural events and included a number of works of art both interior and exterior art. Unfortunately Heinrich passed away a month prior to the completion and inauguration of the building. 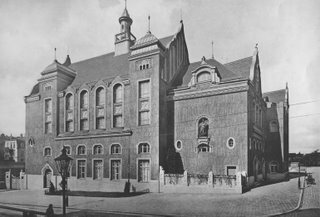 The photos in this post show the Berolzheimerianum both at it’s completion in 1906 and as it looks today. 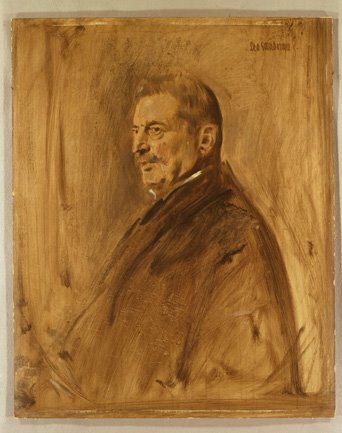 The painting of Heinrich was commissioned when he was named as an Honorary Citizen of Fürth for his patronage towards the city. Other famous Honorary Citizens include Ludwig Erhard who served as the second Chancellor of the Federal Republic of Germany from 1963 to 1966 and Henry Kissinger, who I was told recalls studying as a child in the Berolzheimerianum. – In 1998 following extensive renovations the Berolzheimerianum was reopened as ComÖedie Fürth, one of the leading comedy clubs in Germany including a restaurant and bar. As a part of the 100 Year Celebration my wife, son and I were honored to be the guests of the City of Fürth along with other of Heinrich’s descendants (3rd and 4th cousins) whom we met for the first time. In conjunction with the anniversary celebration a four month exhibit at the Jewish Museum of Franconia, entitled “Benefactor Berolzheimer: A Family Tradition of Philanthropy and Patronage”. While our families converted to Christianity several generations back, we very much enjoyed learning more about our Jewish heritage in Germany during this visit. The entire staff of the museum did a very nice job with the exhibit and with additional activities scheduled over a three day period. 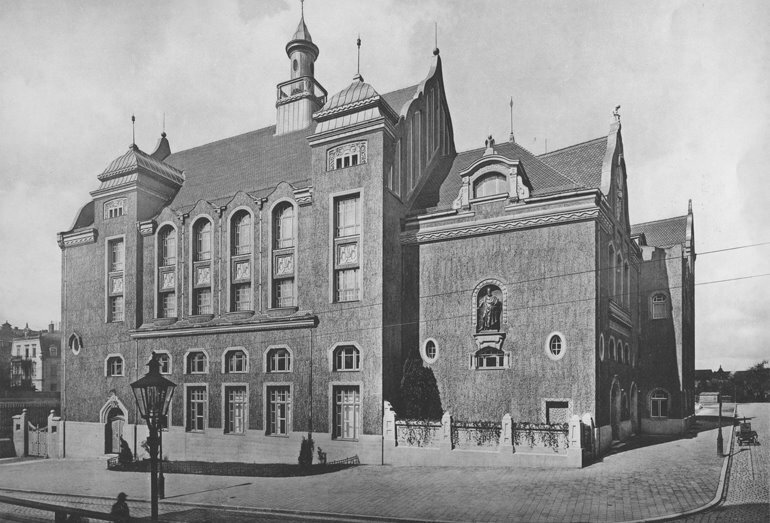 In addition to the Berolzheimerianum, Heinrich also made important financial and artwork contribution to a library in Nürnburg, known as the Luitpoldhaus, as well as to the Nürnberger Künstlerhaus art institute and supported the Natural History Museum in that city as well. For his contributions to Nürnburg where he lived the final years of his life he was also named and honorary citizen there as well. This I understand makes him one of only two people who have been named honorary citizen to both of these cities. This tradition of supporting education and the arts in our home communities has been continued by Heinrich’s descendants to this day, first by Emil and Philip and down to current times. I am slowly adding to my Flickr site here a a new set of historical, current day and other photos associated with the Berolzheimerianum and the 100 year Anniversary Ceremonies. Some of these are captioned to tell more of the story of the building.